Talking of the operating systems, them Android has become the most liked and used operating system in mobile devices. However, Windows 10 is also a nice breakthrough from Microsoft that is also smarter OS which is now also available on Mobiles. 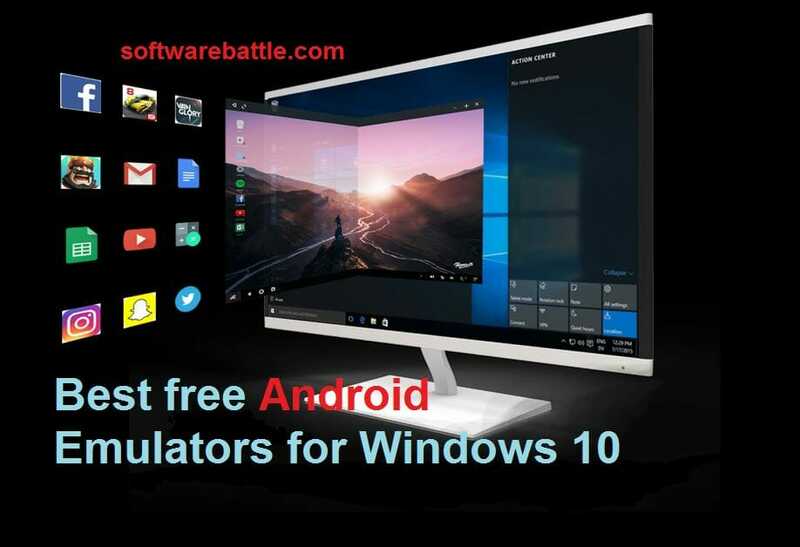 But there are many App that can run only on Android and thus you need android emulator for windows 10, if you don’t have an Android device or want the same experience on a big screen of your PC. As Android has become the most used operating system nowadays, there is the need of Android emulator so that you can easily run all android apps on your Windows 10 PC, and enjoy the Android apps. You can run android apps on windows 10 using an emulator. There are plenty of Android Emulators that have taken place in the market. Here we are about to discuss the top emulators among them according to our reports and research. Which is the best android emulator for windows 10? How to run Android apps on Windows 10 PC? Can I run android apps on windows? Here is the list of the best Android emulators that are available for free and have proven to be the best among all the emulators. We have prepared this list simply by testing each of the android emulators by running heavy games and many multimedia apps so that we can conclude the best result out. Bluestacks was founded about a decade ago and is the most famous Android emulator till now available in the market. It’s most famous and the most rated android emulator available for Windows OS and MAC OS. Bluestacks have been in the market from the time when Android was introduced by the Google corporation along with the Developer mode. BlueStacks have been the best android emulator for Windows XP, Windows 7, Windows 8/8.1 and Windows 10 so far. Bluestacks is a nice way to get android for windows 10. Bluestacks has been famous as it can run the android emulator in full screen and make you feel a normal Android app like using it in your PC itself or as if it is developed for your PC only. Bluestacks also have a virtualized android pc experience along with the mobile or tablet modes. Talking of the developers, then Bluestacks has been proved to be the best android emulator for developers testing also. It can completely run flawlessly on your pc without making any damage or overprocessing on your Windows system. Here you can get Bluestacks for free. Bluestacks have been proven best Android Emulator by the gamers to play and became champion on the mobile gaming zones. Bluestacks support multiplayer online games using you LAN connection on your PC. It’s easy to use and there is no need to be a Pro level of software operator to start using Bluestacks. From BlueStacks 3.0, you can run multiple Android Apps and Games simultaneously on the same console. Talking for the latest updates, then in the latest update i.e. BlueStacks + N Beta, has become the only android platform for gaming lovers that support Android One making it the open source so that you can run every app version that has been ever released for android market. All these are the reasons why BlueStacks is our single and most honest recommendation. Nox is another nice android emulator that is purely focussed on the gamers. You can play any Android Supported game like PUBG, Asphalt 8 Airborne, etc. Nox is easily able to deliver 60 frames per second of graphics output without any need of special graphical unit in your processing system. Supports keyboard, gamepad, script recording and multiple instances. 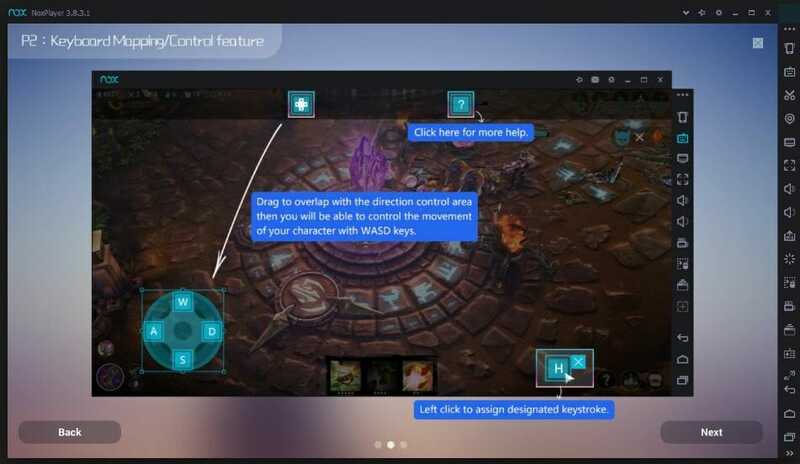 The main feature that s loved by the gamers is that in NOX, the basic keyboard and mouse controls get assigned to the game in replacement of touch controls and sensor controls. Nox is free Android emulator dedicated to bringing the best experience for users to play Android games and apps on PC and Mac. Users can assign keyboard and mouse to the APK games and Apps with simple key mapping and enjoy easy access to functions like location, adjust volume, and many more. 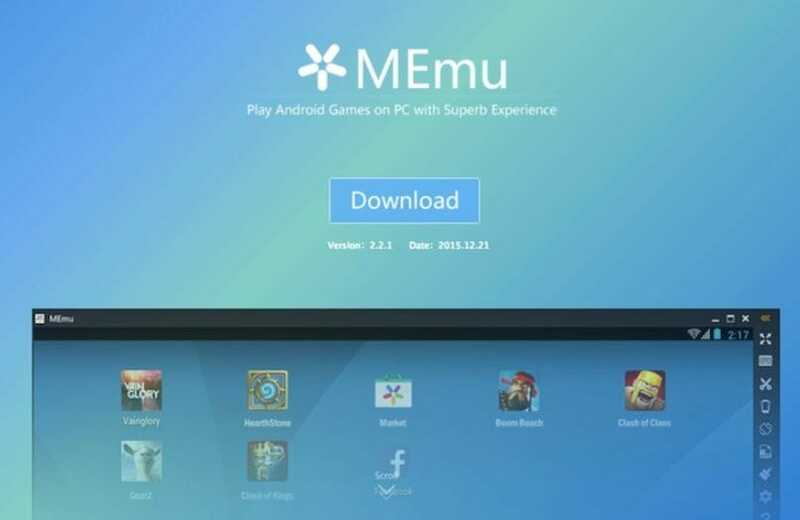 MEmu is a fairly new Android emulator for PC out on the market created by Microvirt. Its primary audience is geared towards the Android gaming community with the advantage of playing popular mobile games on PC. MEmu has a lot of hardware and software compatibility with most computers. There’s support for Intel and AMD chipsets, dedicated and integrated graphics cards, and runs on Windows 10, Windows 8, Windows 7, and older versions. MEmu comes with Android 4.4.4 KitKat by default, which can easily be upgraded to the latest android version available. The home screen shows a generic wallpaper, navigating around in the emulator is straight and simple. Various menu items are displayed on the right side of the interface, such as keyboard mapping, full-screen option, one-click installs for APk files, etc. These can all be adjusted in a convenient drag-and-drop Toolbar setting. MEmu comes packed with a big toolbox of options to configure the emulator, the most important for gaming being keyboard mapping. You can simply navigate to the Android package on your PC you wish to install. Promised back at the company’s I/O 2017 developer conference, there’s now support for the Kotlin language. Google says that it’s an “expressive and concise language that is interoperable with existing Android languages and runtimes”. You can use it in as little or as much of your app as you want. Android studio is basically developed because of the developers. Android studio was launched with the launch of Android 2.2. After that android studio is enabled to run each mobile or tablet simulator to develop the apps. However, you can still use the android studio for running different apps available in the android play store. However, if you are not a coder and still want to use an android emulator to run your app then you should try out any other studio for you. Without going on to the name, we would say that Remic Player is also a nice android emulator introduced in the market. The specialty n the remix android emulator is basically is that it can run multiple games at the same time. It enables you to run different android games and software in different windows of your computer. Remix Player on installing comes with Android Marshmallow by default. However, you can upgrade to the latest android anytime and enjoy the seamless performance in your android emulator. You can easily find the forums and support online in order to solve any problem that appears when running wit remix android emulator. You can download Remix Os Player for free from the online official website. This emulator downloads in the format of .exe and then can be installed easily on your computer. After Bluestacks and MeMu remix player is on the league for the gamers to use an android emulator. droid4x windows android emulator is another in its class. It is also a new Android emulator in the market. But still, we shall not compare it out be newbie present all around. This software particularly has nice improvements and is more user-friendly as compared to the other android emulators in the market. The main feature to support Droid4x in our list is that it has the plugin and addons options. This can help you to add or subtract the required tools needed for you. This is also a nice android emulator gaining popularity from its launch among the gamers. Droid4x comes along with the preinstalled Google play store in it. There are very fewer reports for the emulator for getting the crash while its runtime. Another great feature is an app which you can install on your Android phone, so you can control games on your computer. Use this free Android emulator for your Windows PC with confidence. AMI Duos is another paid software to run android apps on windows 10. It is a great android emulator that runs with the two versions of android. AMI duos is basically a paid android emulator where you have to pay for android version you are seeking to get on your computer. They charge as little as 10$ to start with the android lollipop now. AMI duos can also be downloaded in other older and newer versions of Android too. 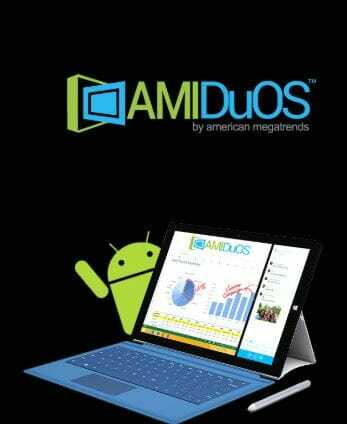 AMI Duos is also a nice option to easily run all the android application in your computer and you can easily set up the system configuration for your Android and the specific version that you are seeking for android. It is a very good choice for the regular and basic uses for the android emulator. AMI Duos cannot run multiple android applications on multiple windows but still its good emulator to simply run the android phone on your computer. Run automated tests. With Genymotion you can easily enjoy a seamless ADB access: allowing a secure and easy compatibility with your testing framework such as Appium, Espresso, Robotium, etc. It gives broader virtual device test coverage (from Android 4 onwards). Genymotion can easily speed up your test cycles thanks to unlimited scaling capabilities (parallel testing, test sharding). It can manage and automate the lifecycle of your virtual devices using our API or CLI. You can plug Genymotion Cloud with any CI infrastructure. Genymotion lets you enjoy a smooth interactive access to your app: high streaming performance, low latency. It simply showcases your app into your website with a kiosk mode to allow your visitor to test your app without downloading it. ARChon is the first Android Emulator which is supported on Google Chrome OS. It works on Google Chrome browser too and thus can be used on Windows, Linux as well Mac OS too. It uses the default Android Runtime Package for running the Android apps. However, sooner it is expected that Google will officially launch support for Android apps on Chrome. By that time, we can use ARChon as it does the job pretty decently. Archon Android emulator will also Run Android Apk in Chrome OS / Chromebooks. According to our rankings and test that we have conducted, Bluestacks, NOX, and MeMu are the best android emulator windows 10. They are available or download for free and will definitely serve your purpose. These Emulators are a complete solution to run Android on PC. You can run all the Android apps in a PC. However, it depends on the nature of the App you are using. Some apps like WhatsApp, Asphalt, etc, are available and can be run on the pc separately. Still, we would say that the best way is to the Android simulator to play android games on pc or run android apps on PC. This is the best way to run Android on PC. The best way to play android games on PC is by simply download Android Emulator on your PC and then add up your favorite games on it. You can choose from hundreds of Android Emulators or you can simply choose one from our list and download it. All of the Android apps can easily run on the windows. Using android emulators will definitely make you run your favorite apps on windows along with the different hardware features like geo tagging, camera access, mic and speakers access, etc. Choose one from our list and enjoy using Android on your windows PC or MAC.